Joëlle Léandre is a loner, walking the earth with her bass, looking for other people to play with, because she likes new interactions, she likes surprises, she likes musical dialogues, improvised, with no path to follow, meeting, listening, fusing, yet with both parties keeping their character, keeping their style, but at the same time finding sufficient common ground to enter into something valuable. Something not heard before, creating new opportunities for notes, new opportunities for sounds ... to flourish. Here she meets with trombonist George Lewis, with whom she shares a background of playing with people like Braxton, Lacy and Les Diaboliques, Léandre's trio with Irène Schweizer and Maggie Nicols. This album was recorded live at the Vision Festival XIII, in New York in 2008, hence the title. But the title refers equally well to the music itself. Both musicians push the boundaries of their instruments and inventiveness, conjuring up sounds and sound experiences : harsh, plaintive, bluesy, screeching, wailing, scratching, growling, shouting ... new sounds yet somehow familiar in their as yet unspoken emotions, brought to life unexpectedly, surprisingly through some sparse notes, some bowed strings, wind through tubes. In the hands of lesser players, this endeavor would fail, but their skills are such to make it an intense and captivating encounter, played with a depth that most musicians can only dream of. This is music with the right attitude. If you want to play with this level of musical openness, you have to dare to be vulnerable and tear down your own defenses, including in the long solo moments. Léandre and Lewis do not perform to entertain, they do not perform to show their skills, they perform to genuinely interact musically. In this sad era of fake and kitsch, this album offers a great antidote of refreshing authenticity. 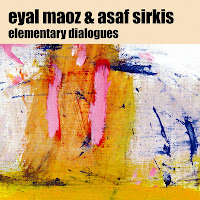 The "Elementary Dialogues" in the title refers to the most limited combination imaginable : a melodic instrument accompanied by percussion, in this case Eyal Maoz on electric guitar and Asaf Sirkis on drums. I only know Maoz from his Tzadik releases, but here he sounds different: harsher, raw, less melodic, dissonant, but very rhythmic. The first piece, called "Reggae", sets the tone well : a composed melody is used as a pretext to improvise, but then full of rhythm and boundary-breaking sounds, yet very focused and relatively accessible. It is not as "out there" as Nels Cline and Greg Bendian's rendition of Coltrane's Interstellar Space, but it goes in that direction, with the exception of "Miniature", a sweet and melodic piece. To both musicians' credit, they're creating something authentic and powerful, and the music is great, it must be said. No pyrotechnics for the sake of demonstrating skills, nor noise to make noise, but just raw and intense high energy dialogues of a screeching guitar and relentless drumming, but both with a story to tell, with moments of humor even. Not bad at all. This is the fifth album of Zorn's Music Romance Series, after "Music for Children", "Taboo & Exile", "The Gift", and "The Dreamers". Many musicians would be happy to have created one musical sub-genre as a lifetime achievement, ... yet the music here is one of the many that Zorn created in the past decades. It is a highly accessible amalgam of musical familiarity, yet brought in such a way that it is something else entirely, joyous in the simplicity of rhythms and structures, sublime in its melodies, dark in its undertones and tension. The music fuses jazz, klezmer, surf music, rock 'n' roll and soundtrack, interspersed with ambient sounds. The band consists of the usual suspects : Cyro Baptista on percussion, Joey Baron on drums, Trevor Dunn on bass, Marc Ribot on guitar, Jamie Saft on piano and organ, Kenny Wollesen on vibes. Technical skills and sophistication is what you can expect from these guys and that is what you get here : plenty even. But the real treat is the great atmosphere that this music creates. It is a lighfooted, mid-tempo chain of great tunes burdened with dark sighs and the whistling of ghost birds. 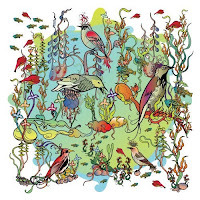 Indeed, the album's titles read like a list of extinct birds, from the "first bird" archaeopteryx (extinct 145 mio years ago) to the O'o (extinct 1934), one third of which lived exclusively on Hawaii, including the bird in the title . The music is possibly the best of the whole series, even better than "The Gift", which was my favorite so far. All musicians are great, but again Ribot is the absolute master in the genre. 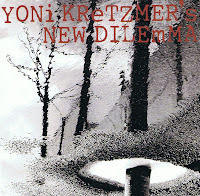 His bluesy power improvisations on "Little Bittern" (New Zealand version, extinct 19th Century), accompanied by Saft's heavy electric piano chords, are great, only outdone by his subtle melodic 50s sounding guitar on "Archaeopteryx" , less notes but played with bell-like clarity, over a cool jazzy klezmer melody, with the percussion and piano organizing some very dark contrasting backdrop. Sit back, relax, be very worried, and enjoy! Far away from the avant-garde, yet very modern in its approach, two musical masters play full of pleasure, enjoying each other's skills, technical possibilities, and improvisational brilliance. They dance, they sing, they waltz around each other, interlocking notes, phrases, rhythmical complexities, playing jazz mixed with klezmer, but there is something of Mozart as well, and all this with music that is accessible, that sounds simple, yet that is in reality full of ear-candy, sophistication, expressivity, technical inventiveness. The masters are Burton Greene on piano, and Perry Robinson on clarinet. The music is lyrical, fresh, creative, ... everything you would need in the desert to get through it, after water this would be the next best thing. One great aspect of their music is that they keep far away from the usual Radical Jewish Culture series' increasingly boring repetition of using klezmer scales and rhythms for yet another style mix exercise. No, this is real music. No gimmicks. Really beautiful stuff. 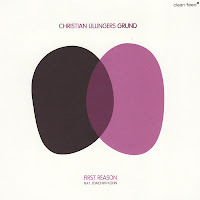 This is German drummer Christian Lillinger's debut album as a leader, but by my calculation already the eighth album he plays on, and the guy's only 25 years old. That says enough about his reputation for percussive skills: broad, expressive, functional, subtle. You get that on this album. And he's as good as a composer/leader. 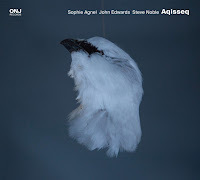 Not only did he assemble this odd band with two bassists (Jonas Westergaard en Robert Landfermann) and two reed players (Tobias Delius and Wanja Slavin), with the great Joachim Kühn joining on piano on a few tracks, but the music he creates with them fits within a category on its own. It is gentle, warm, lyrical, full of character and utterly creative. It's charming and welcoming, soft and free-spirited at the same time. There are no exuberant emotional outbursts, no iconoclastic destruction, it's all subdued and elegant, without being sentimental. Most pieces have a clear composed often abstract theme and structure, except for the three tracks called "Grund", which sound like pure tonal improvisations. Describing the music is impossible, as difficult as finding something to compare it with. I have listened to the album for more than a month now, putting it on time and again, yet I postponed writing about because I lacked words. So there you are. Great album. Nothing more to say. A guy to follow. Listen or download from eMusic. Recorded before "There Starts The Future", but released just now, this new album by the Abdelhaï Bennani Trio is still good but lacks the powerful intensity and unreleased tension of the previous release. 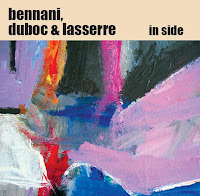 Benjamin Duboc is on bass and Didier Lasserre on drums. The style here is as improvisational and minimalistic, in the sense that not many notes are played, but their sound quality is quite intense, and in contrast to the agony expressed in the other album, the tone here is more intimistic, equally fragile, but less existentially deep. If you liked the trio's other albums, then this one will certainly please you too, and if you don't know the band, I would suggest that "There Starts The Future" is possibly the better starting point. The trio has carved out its own style, and it works really well : creative and emotional sound pointillism. Fourty years after his first album, Joe McPhee releases again a superb record, and it is revelatory for other reasons as well. It is also a tribute to Albert Ayler, whose trumpet-playing brother Donald he met in a record store in 1965, and who introduced McPhee to his music. McPhee was like so many other musicians deeply influenced by Ayler's music, combining free form with traditional spirituals, giving the overall sound something deeply rooted and liberating at the same time. 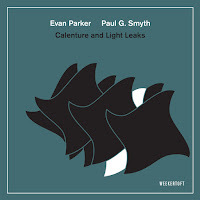 Yet it is a typically McPhee album, who is much more refined technically than Ayler ever was, more subtle, more modern too, and in the last five years, certainly less violent. 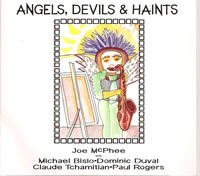 The album is also remarkable for its unusual four bass accompaniment, with Michael Bisio, Dominic Duval, Paul Rogers and Claude Tchamitian adding their skills and deep interaction with McPhee's tenor, alto and pocket trumpet. I think Tchamitian is possibly the only of the four with whom McPhee never released an album before. It is to my knowledge the only bass quartet release, apart from William Parker's "Requiem", and even if the four basses are often hard to discern, and certainly to attribute to any player, their variation in approach, the constant background rumbling, pluckings, bowings and other extended techniques give the music something solidly fundamental and moving. 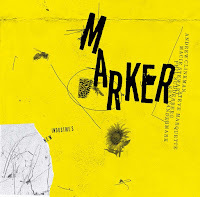 The other remarkable aspect is that the album is the second Ayler Tribute that McPhee collaborates on this year, the other one was released this month, and more on it later. 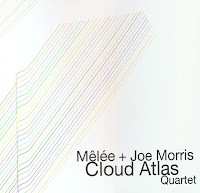 The first CD has only one hour-long title track, on which McPhee moves through some "Aylerian" sounds, but also vaguely touches his own rendition of "My Funny Valentine", and this in between high intensity pure sound interaction with the four basses, Duval starts the main theme of Coleman's "Lonely Woman", without being expanded upon, but the piece is predominantly free improvisation full of tension, emotional and spiritual moments. The first CD was recorded at the Europa Jazz Festival in Le Mans, France on May 1, 2000. 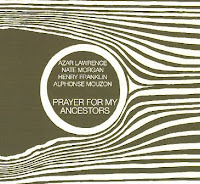 The second, recorded 17 days later at Action Jazz, Pannonica (France), starts with Ayler's "Goin' Home", a sad and moving piece, that's become almost a fixture on McPhee's playlist, followed by "Ol' Man River", played by McPhee on tenor solo for a whole 9 minutes, and very sensitive and powerful. "Angels and Other Aliens" is the pièce-de-résistance on the second CD, with the four basses again throbbing in full force in possibly the most free piece, with the basses having the most interesting conversations of the whole album. The last track, "The Gift", is dedicated to Donald Ayler, and is of a great beauty. Again, a great album by McPhee, and true, I love his playing, so my sense of criticism is often a little softened. Apart from being a tribute to Albert Ayler, the album is also an ode to life and to music, and being that, very sad and hopeful at the same time. A great album. P.S. For those of you who, like me, are not English native speakers: a "haint" is colloquialism from the south of the US, meaning "a ghost, an apparition, a lost soul". The title of the album clearly refers to the Ayler pieces "spirits", "ghosts" and "saints". 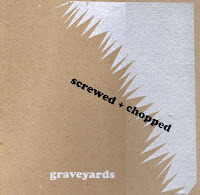 Of all the upcoming releases on Brokenresearch, this one of Graveyards is without a doubt one of the most powerful ones. The band consists of John Olson on reeds with Ben Hall on percussion and noise, Hans Buetow on cello and Chris Riggs on electric guitar. The music is close to impossible to describe : it sounds like the soundtrack for a horror movie, all doom and gloom, with slow, very slow sound explorations, full of reverb and cathedral-like echoes. Don't even think about melody, rhythm or anything close to jazz, because all you get is endless scraping sounds and odd percussion, like screeching doors, cracking wood, short drones, repetitive industrial beats, alternated with what comes close to animal-like roars, wails, but then just that notch too unfamiliar to classify them, to define their origin, taking away all footholds and even the possibility of getting to know what is going on. It sounds creepy and scary. It does. The listening experience comes close to the reading experience of Mark Z. Danielewski's "House Of Leaves". For those who have read the book : to me this is what you hear in the endless labyrinth below the house. Really strong stuff. (sorry for the artwork above : because this is an LP, I had to scan it in two parts on my scanner and then re-assemble). I'm working at a holiday pace at the moment ... so no daily reviews. Just a little bit slower than usual. Of all the traditional music genres that I've heard, only Andean and Chinese music I find difficult to relate to, often impossible to listen to, hard to swallow, even to the extent of getting almost physical allergic reactions. And I am referring to the original music, not even to the kitschy mutants (Zamfir, Vollenweider, ...) that haunt some highly frequented public places, and that will make your humble servant jump through the nearest window when exposed to it. But then, you get to hear this pretty unique album, beyond categorization, unlike anything you've heard before. The main instrument is the Chinese guzheng, a zither-like instrument, played by Canada-based David Sait. Because of the instrument's nature, the music has this Chinese twang to it, to say it irreverently, but it is fully improvised avant-garde, played in several duets, with LaDonna Smith on viola, violin and ehru, Gino Robair on a variety of percussion, including motors and bike horn, and Glen Hall on soprano sax and bass flute. The result is pretty stunning. 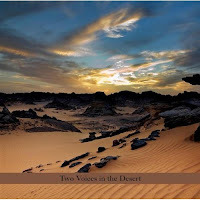 With the limited instrumentation of the duet, quite broad soundscapes are created, some of extreme beauty, some full of wonder and surprise, some of weird sonic intensity, vulnerable, open ... The music is quiet, unobtrusive yet very captivating. The album is the second in a series of "Postage Paid Duets", where the improvisors don't actually meet physically, but improvise based on the other one's taped music, or something to that extent. Despite the geographic and temporal distance, or maybe because of this, the coherence is very strong of all pieces, with the improvisors not wanting to stray too much from the core. I think I've listened to this album a lot in the past week, and I mean a lot, a few dozen times probably, and one time I think I prefer the duets with Robair, then the great interaction with LaDonna Smith, and then another time the sax and flute get the preference, just to demonstrate that the quality is high, and that there is variation, despite the music's unique vision. It isn't jazz, because it's beyond any existing genre, but it will certainly please those interested in free improvisation. A musician with something to tell, and in his own authentic voice. Really great. Listen and buy from Sait's website. There is too much music being released to review in a decent manner. Reviewing a CD requires repeated listening, and time is often the major restriction to do that properly. So I only listen once to all the albums I receive, and then I listen again to those albums I plan to review. The first contact is often a crucial one : is there anything new to hear? is there anything of interest? does it strike an emotional chord? is there any depth and inventiveness? will I enjoy listening to it again and again for several times in the coming day? If these questions are answered positively, I may review the albums. If not, they are filed alphabetically in my collection, and they may be dug up later for further reference, or because I have to reconsider my initial opinion, which does happen. I will now at least list those albums that I did not review, but which I think are still worth sharing with you. Obviously I will not give these albums a star-code, since I would have nothing but a first impression to make that judgment. Modern jazz album, rooted in the tradition yet adding some fresh ideas. With Josh Berman: cornet; Keefe Jackson: tenor saxophone; Jason Adasiewicz: vibraphone; Anton Hatwich: bass; Nori Tanaka: drums. Improvised exploratory sound conversations between synth and guitar, redefining auditory expectations of both instruments. For those with very open ears. 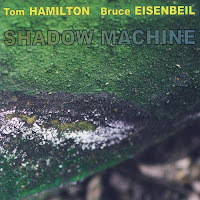 Tom Hamilton plays nord modular synthesizer, and Bruce Eisenbeil guitar. Father and son Granelli continue their travels through their own open-textured instrumental free blues and free rock universe. 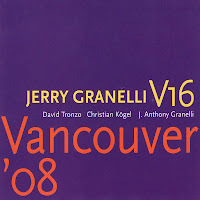 David Tronzo: electric slide guitar; Christian Kogel: electric guitar; J. Anthony Granelli, electric bass; Jerry Granelli, drums. Two days ago, Rashied Ali sadly passed away during heart surgery, at the age of 76. Ali was a subtle power drummer, possibly best known for his collaborations with Coltrane in the 60s, and then primarily for the stellar "Interstellar Space", a genre-exploding sax-drums duet between two masters, to be followed by many collaborations later, including Jackie McLean, Alice Coltrane, Archie Shepp, Carlos Santana, David Murray, ... to name just a few. 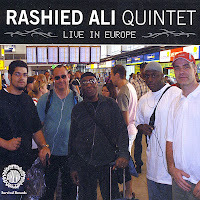 Ali was bop, Ali was free bop, Ali was free jazz, and these three sub-styles are duly present on what might be his possibly last release, this "Live In Europe", with Joris Teepe on bass, Greg Murphy on piano, Lawrence Clark on sax and Josh Evans on trumpet. The two long pieces on the album were written by James "Blood" Ulmer, in whose band Ali played. 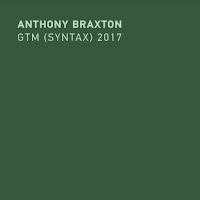 The third, central track, is a slower bop piece by saxophonist Lawrence Clark, giving the album a quite balanced structure. The music is great, nothing boundary-breaking, but quite entertaining, showing that even at the age of 76, Rashied Ali was still among the best drummers. Also check his recent "By Any Means" with Charles Gayle and William Parker. "He was at the top of his game until his last day," his wife Patricia said yesterday night. "He just had such integrity about his music." Madness and esthetics, humor and beauty, seldom go together well in music, often the one goes at the expense of the other, but not so with this band. Their music is beyond description. There are laughs and crazy vocalizations, sometimes chattering of musical instruments like monkeys in trees, birds in the jungle, maybe pigs, possibly horses, sometimes incomprehensible and a seemingly pointless scattering of notes that never really evolve into phrases. 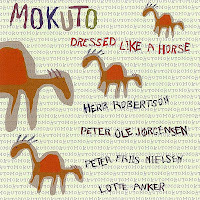 The band, Mokuto, consists of three great Danish musicians, Lotte Anker on saxophone, Peter Ole Jørgensen on drums and Peter Friis Nielsen on bass, occasionally performing as a quartet, and here, as on their previous release in the company of trumpet-player Herb Robertson. The astonishing fact of this album, is that out of the absurdity of it all, out of the weirdness and otherworldliness, a sensitive beauty emerges, almost organically, naturally, ... and while the lead instruments are responsible for most of that fragile beauty, it is Nielsen's bass that creates the most distinct sound, creating little percolating sounds on his bass, giving it a solid backbone and drive without falling into any fixed rhythmic pattern. And the same holds true for Jørgensen's percussion: it's crisp and fresh and unpredictable, it emphasizes and accentuates and creates depth, and it drives the music forward, yet without there being any distinct beat. I had listened to their previously released "Message For The Errand Boy", an album that did not strike as worth reviewing, yet I went back to it and I must review my opinion. 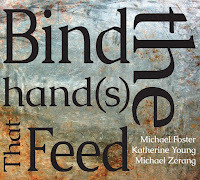 Very unusual and very rewarding beautiful music, for those with open ears and open minds. It is hard to define the status of Ethopian vibist Mulatu Astatke. He kind of invented and developed what has come to be known as Ethio-jazz, mixing Ethopian rhythms and melodies with jazz and latin music, resulting in very danceable music. But there is much more. His melodies and musical vision are extremely powerful. They're rhythmic, expansive, joyful, sad and never-ending. His compositional voice is unique, easily recognizable and absolutely delightful. There's only one downside. And that downside is "the West", or "the North", whatever you call it. Even Duke Ellington once said "This is good. I never expected this from an African", a compliment disguised as an insult, or vice-versa. Anyway, the only way he seems to be able to get attention is via the collaboration with American or British bands, with the Either/Orchestra first, now with the Heliocentrics, a band to keep far away from, but not necessarily for this album. Sure, they keep their funky combination of trip hop, jazz and psychedelia, at times adding insult to injury, but most of the times it does work pretty well, keeping the hypnotic groove of Astatke's music intact. 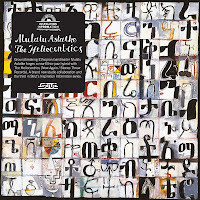 I can still highly recommend the Ethiopiques Series, and especially volume 4, featuring Astatke, and recommend the double CD with the Either/Orchestra. This album is OK, but nothing more than that. It is a mixture of stuff, often characterless, but the Ethopian's music is so compelling, that it even withstands the treatment given here. I hope it will lead listeners to the real music. Watch a Youtube clip with the Heliocentrics, bringing "Yekermo Sew", one of Astatke's greatest compositions. 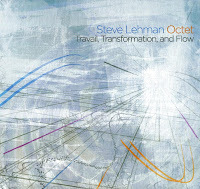 In an earlier review, I praised Steve Lehman's music, with the caveat that too much complexity works stifling. Unfortunately he goes further in the same direction on this album. Melodies change, but especially rhythms, adding complexities to complicated compositions that can only be dealt with by really excellent musicians, which this band certainly has. 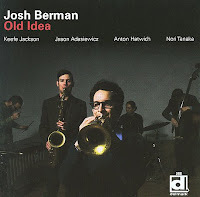 Next to Lehman's tenor, there is Mark Shim on tenor saxophone, Drew Gress on bass, Tyshawn Sorey on drums, Jonathan Finlayson on trumpet, Jose Davila on tuba, Tim Albright on trombone, Chris Dingman on vibraphone. Listen especially to Tyshwans Sorey's drumming. His polyrhythmic creativity is an astonishing delight for the ears. 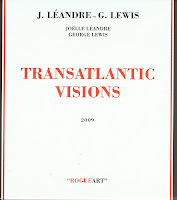 There is energy galore, no doubt about it, and lots of "travail" surely went into the compositions and the rehearsals, "transforming" the notes into coherent music with a voice that has become Lehman's signature sound, yet it doesn't "flow". The overall complexity seems to have a suffocating effect on the liberating sounds that I would expect from jazz improvisation, here pushing the musicians to the kind of concentrated thinking that kills emotional delivery. There is as a consequence insufficient fluency, nor lyricism. And that's a pity. Watch an interview with Lehman and a clip of "No Neighborhood Good Enough".